Playa Blanca Market in Lanzarote is the most exclusive market on the island. Buy tickets online to gain access to all that Playa Blanca Market has to offer. Where you will get plenty 2hrs to enjoy the pleasant morning at the market while doing shopping, eating and more shopping. 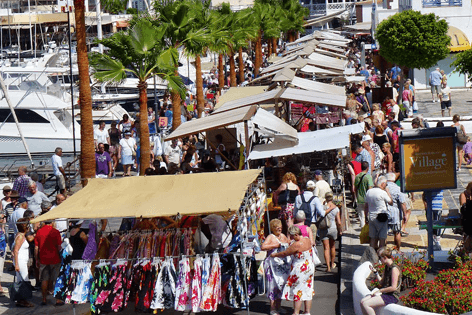 The Marina Rubicon has a posh setting, surrounded by beautiful yachts and cruises along the harbour, not to mention the numerous designer shops. 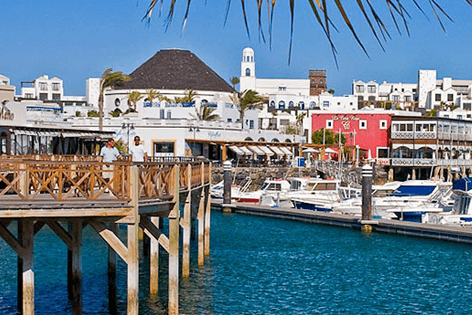 After shopping at the Playa Blanca market, you get two hours in the Playa Blanca town, experience the harbor, the shops, the bars restaurants. 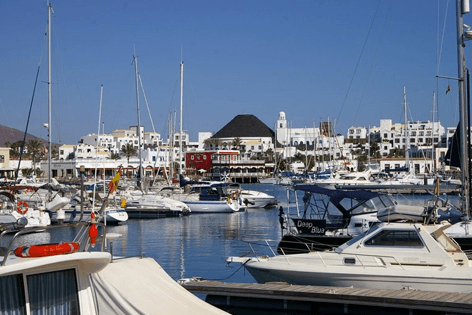 Take a peek inside the cruises and yachts or simply sip on some delicious frothy coffee and let the world go by, checkout if the cafe or restaurant can give you a discount with LanzaroteON’s Discount Card. You also have a chance to stroll down to British sculptor Jason deCaires Taylor’s studio , where you can see the work in progress for the Underwater Museum. You can also book online your visit to Europe’s first Underwater Museum or Museo Atlantico in Lanzarote for a once in a lifetime experience. The shopping spree at the Playa Blanca market will be satisfying we guarantee that !!! 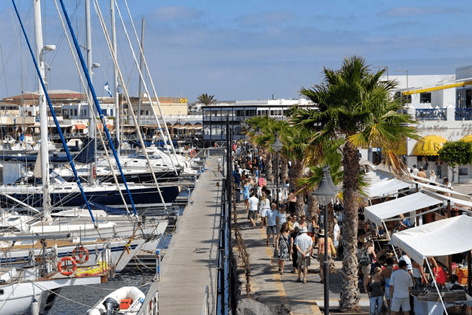 One of the best markets in Lanzarote and must be in your things to do in Playa Blanca. Don´t forget your camera, you don´t want to miss the incredible sights in store for you. Take some spending money for souvenirs and those all important genuine fake products. Always haggle at the market never go with the first price offered. 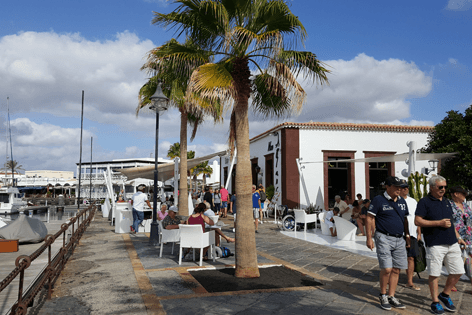 Moving around the island is quick and easy, so you can do another market visit, to the famous Teguise market from Playa Blanca and Teguise Market from Puerto del Carmen and enjoy what you most love doing SHOPPING!!! !